An exciting “speed-dating” style art exchange between North Texas artists, art patrons, professionals, and enthusiasts. Within 3-minute intervals, participants will discuss everything from art methods to passion for art in public places. Many participating artists will gift Artist Trading Cards to all speed daters, allowing participants to leave with a work of art! Find your new favorite artist. Think about how art impacts our public and private lives. Make friends, connections, and spark long-lasting relationships in the arts community. You don’t want to miss this exciting event for Fort Worth arts! SIGN UP HERE. The Ugly Reds series is about getting older, being alone and being with mates, defining ourselves, searching for relevance, and the frustration that follows. Radke chooses to use red because it jolts the viewer when used predominantly. An exciting look at contemporary portraits and figurative work. Join us for an opening reception and artist talk celebrating the acquisition of Resolved Coalescing Continuum by Texas-based artist Jim Woodson. Artist Talk at 7:00 | Light refreshments will be served. Free and open to the public. 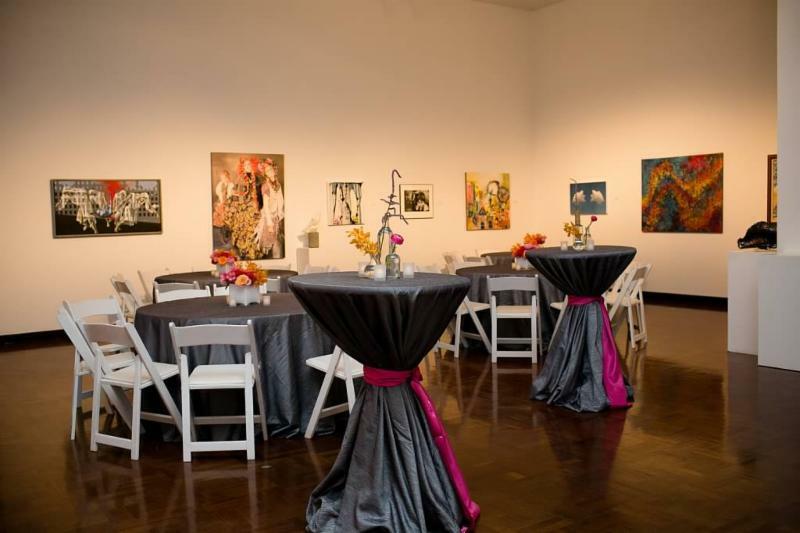 An exciting “speed-dating” style art exchange between North Texas artists, art patrons, professionals, and enthusiasts. Within 3-minute intervals, participants will discuss everything from art methods to passion for art in public places. FREE. SIGN UP HERE. A number of pieces from the private family archives are presented under the sponsorship of Theriault’s, in preparation for the Kansas City auction of over 500 lots on July 14. Entrance to the exhibit is free. Hours during this exhibit are 9am – 6pm, every day. This is the only Texas exhibition. More information about the auction is available on Theriault’s WEBSITE. All levels, Music & Flow. Come be inspired. Bring your mat. Led by Ashley D. Brand. 2956 Crockett St. Validated parking. ARTshop, a small gift shop comprised of unique one of kind artist-made pieces in the ART Center. Just in time for Mother’s Day, Father’s Day, and Graduations, come in to find original jewelry, ceramics, glass, woodwork, metalwork, wearable art, handmade prints and cards, photography and other fine art and craft works that make perfect gifts for any occasion. Every Thursday, Fort Worth Swing Dance Syndicate hosts Dances & Classes! Every Thursday, Fort Worth Swing Dance Syndicate hosts dances and classes!